When planning your wedding, you want everything to be perfect. For many of the things involved in your wedding, this requires practice months in advance of the actual date. One of these things involves not only the bride, but the groom as well. That thing is your first wedding dance. What may be one of the most memorable moments of your life, you’re going to want this dance to be as well-rehearsed as possible leading up to the big day. Part of this involves choosing a style of dance you know you can master in a matter of months leading up to your wedding. The list of popular dance styles range in difficulty, formality, and mood. While some weddings may call for an upbeat, high-energy dance style like salsa, other weddings may call for a more sophisticated style of dance like the waltz. Whatever style you choose, make sure it matches whatever song you choose. The Foxtrot- There are 3 different variations of the foxtrot, but for weddings the most common is the “American Social Foxtrot”. 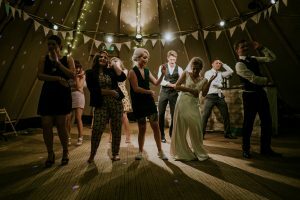 Catering well to slow songs and ballads, this style of dance is very popular and easy to learn quickly. The Traditional Waltz- More formal than the foxtrot, the graceful nature of this dance makes it a classic for weddings. The rise and fall of this dance style makes it beautiful to watch and even more beautiful to partake in. Swing Dance- More relaxed than both the foxtrot and the waltz, the swing style of dance is popular among fun, active couples. This style of dancing is also quick to learn for beginners and looks impressive to those watching. Salsa- More fast-paced than its more traditional wedding counterparts, salsa dancing is a fun and unexpected alternative to a slower dance. But beginners beware, as this style will definitely take a bit more time to learn! 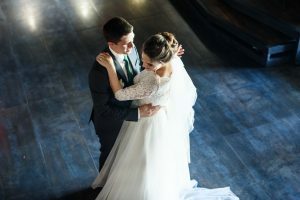 Whether you’re an amazing dancer or simply tried the best you could, the sentimental value of your first dance as a couple matters far more than the performance itself. So choose the dance style that suits you best and prepare for your big moment in the spotlight!